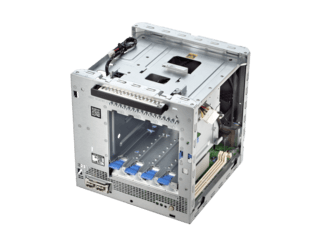 Are you a small office, home office, or small business that needs a compact affordable entry level server? 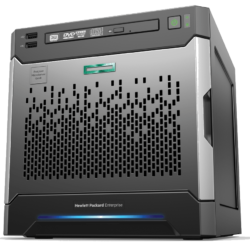 The HPE ProLiant MicroServer Gen10 delivers an affordable compact entry level server specifically designed for small offices, home offices, or small business environments. This compact and easy to use server can be placed almost anywhere. Simple access to the hard drives, memory and PCIe slots allows easy management, installation and upgrades. 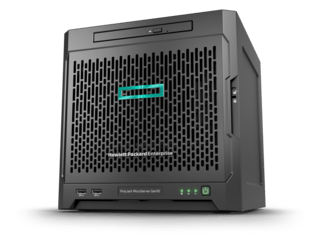 The HPE MicroServer Gen10 is available with ClearOS Software from HPE delivering an intuitive Web based GUI and application marketplace that will be available pre-loaded on your hard drive, making it ready to use right out of the box. 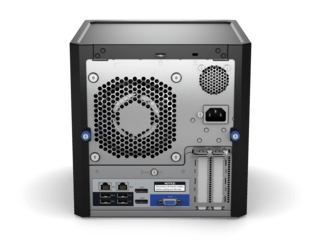 It utilizes the AMD® accelerated processing unit (APU) with graphics cores embedded to improve graphics software performance without installing an additional PCIe graphics adapter. Compact, easy to use and can be placed in almost any location with its compact design. Dual display ports capable of 4K resolution video display for increased flexibility.